Peel and devein shrimp, leaving tail on. Dry thoroughly on paper towels. Mix flour, paprika and cayenne pepper together in a bowl. Hold shrimp by tail and dip into vinegar and then into flour mixture. Set aside. Melt margarine with hot sauce, Worcestershire® sauce, paprika, celery seed, garlic salt and black pepper. Keep warm. To Cook Shrimp: Heat 1 inch of oil in a skillet. Fry shrimp, one serving at a time (see cooking times below), turning to cook both sides. Drain on paper towels. 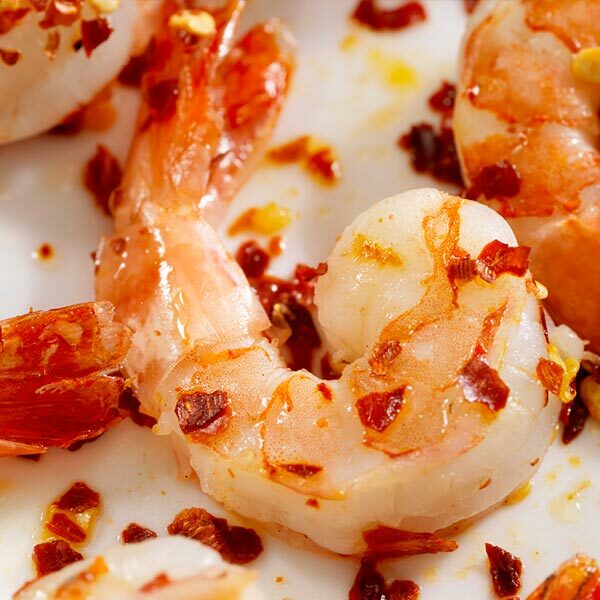 Quickly dip fried shrimp into hot sauce. Buffalo Sauce: Combine mayonnaise, sour cream, cheese, lemon juice, vinegar, minced parsley, onion and garlic and seasonings. Refrigerate. (Makes 1 ½ cups). Serve with Buffalo Sauce and celery sticks.